We just received an invite to the Lyft Pittsburgh launch party. We are excited that Lyft is officially launching in Pittsburgh on Friday, February 7. If you have happened to travel to San Francisco lately you may have seen some cars with bright pink mustaches driving around. Or maybe you caught this clip on Conan O’Brien back in December. Lyft is a peer-to-peer ride sharing service. Download the Lyft app and create an account with your Facebook profile. Once you are approved and add your credit card, you can request rides from verified Lyft drivers. The drivers are your fellow Pittsburghers who have passed a background-check and have been approved by Lyft. Lyft cars have a pink mustache on the front of the car. Lyft is like having a friend with a car whenever you need one. Simply download the app, request a Lyft and you’ll be on your way in minutes with a friendly, background-checked community driver. It’s more fun and costs less than a cab. 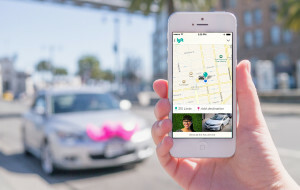 Lyft was founded in San Francisco in 2012 and has already rolled out in 16 cities across the country. The Lyft Pioneer program is over. You can use this link to get $25 credit towards your first Lyft ride. You get 50 Lyft rides on us, valid for the next 2 weeks (up to $25 per ride). Lyft has built an interesting community around giving rides. Check out this video for a look at the Lyft app and the community. Follow Lyft on Facebook and on Twitter @Lyft. The hashtag for the Lyft launch is #LyftOffPittsburgh. You can read more about the Lyft launch in Pittsburgh from the Pittsburgh Business Times and the Tribune-Review.